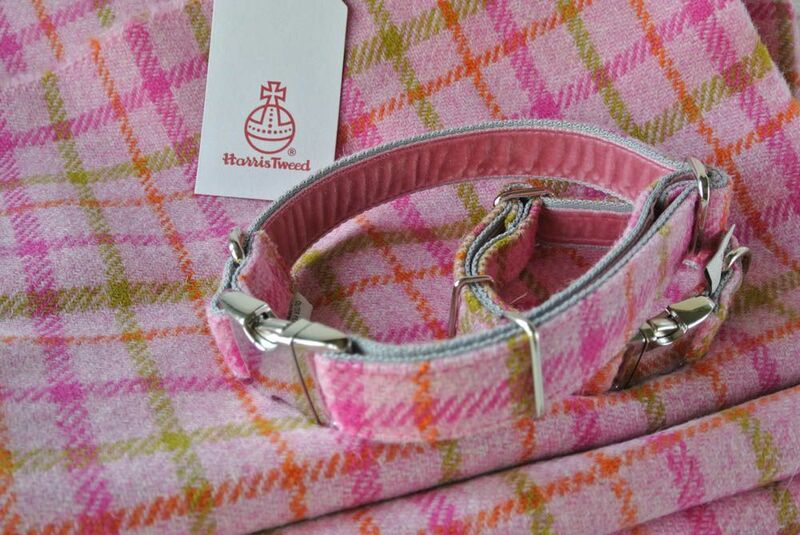 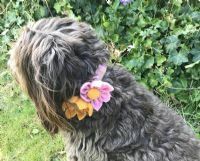 Designer Dog collars in spring colours, pink green and orange wool Tweed from the historic Harris Tweed Mills. 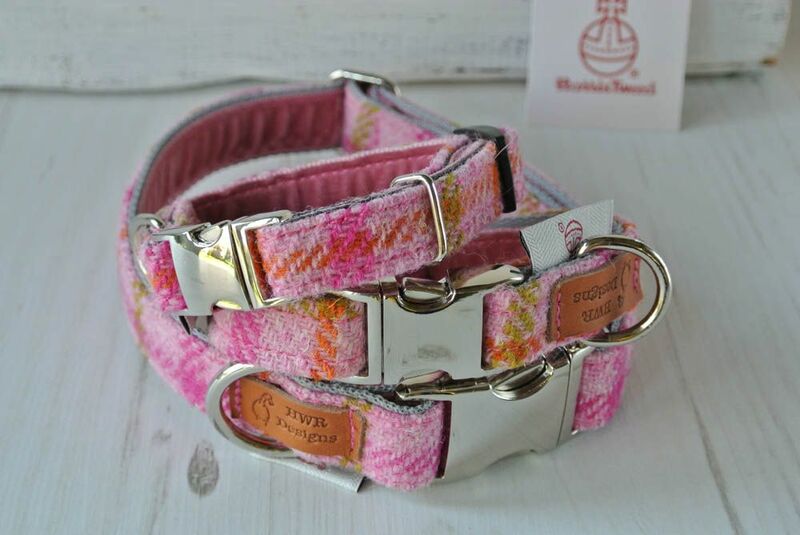 Available in three sizes The medium and small collars have quality metal fittings including a stylish nickel side release buckle fastening and extra strong welded 'D' ring and adjusting slider and the Xtra small has a plastic adjuster to reduce the weight for the smaller furbaby. 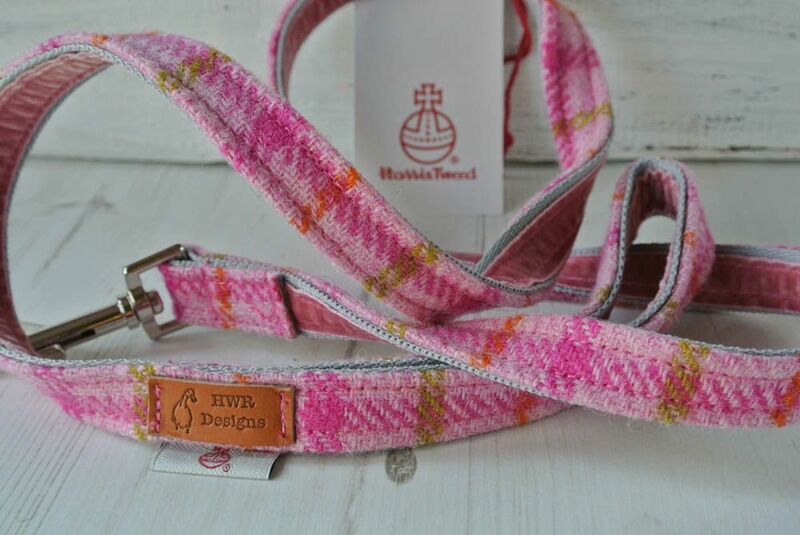 Medium Collars are 1" (25 mm) wide and are adjustable from 14 1/2 " to 21 1/2" ( 37 cm to 55 cm). 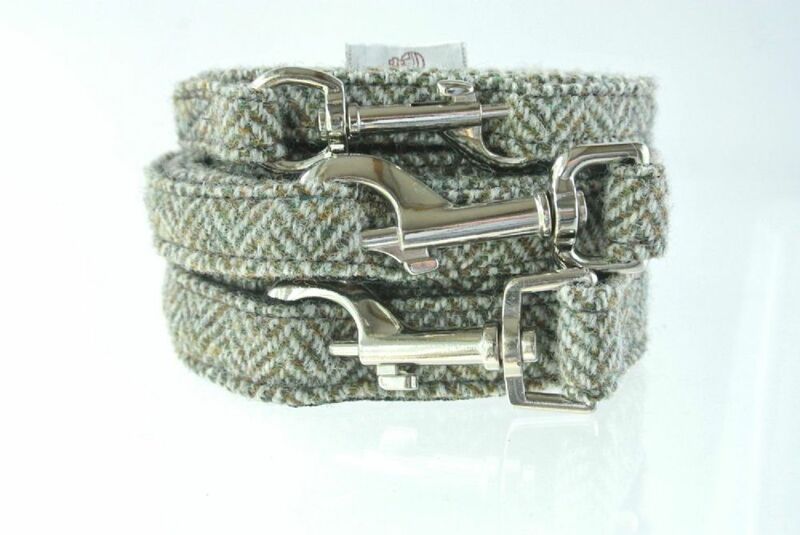 The Orb Mark is your guarantee of genuine Harris Tweed cloth. 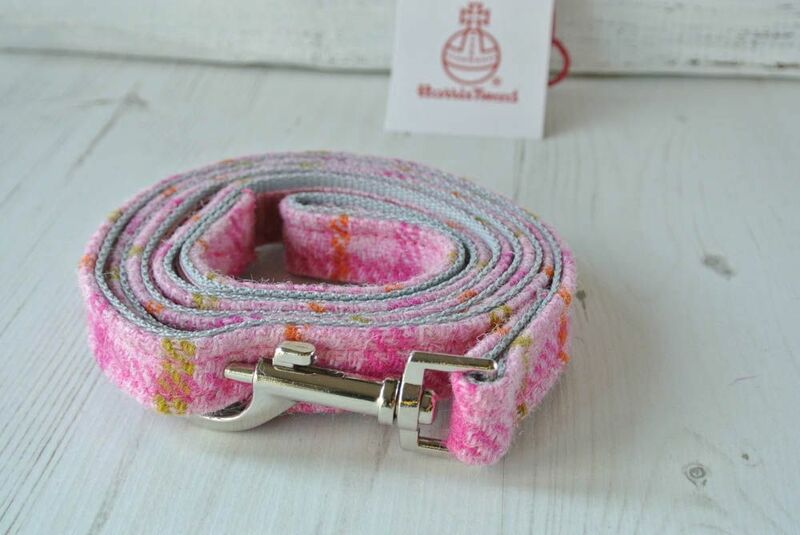 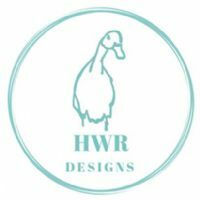 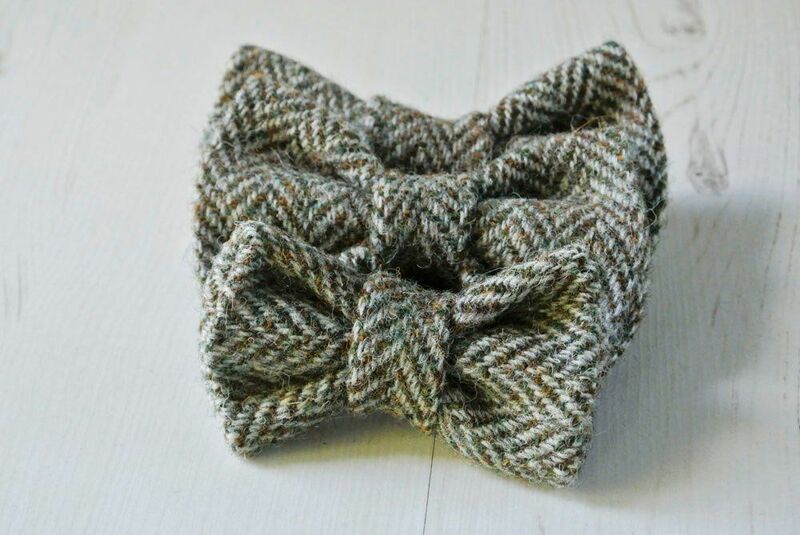 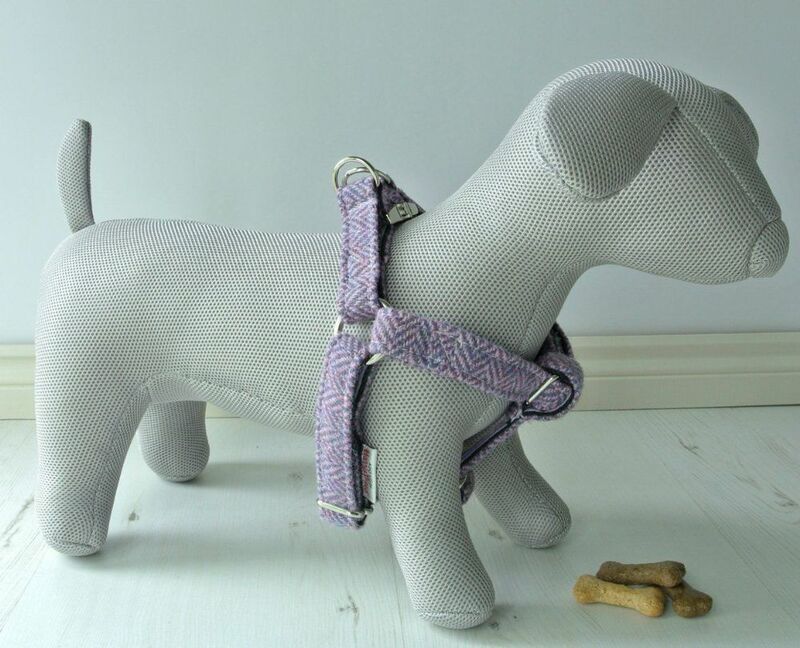 Protected by the 1993 Harris Tweed Act of Parliament, Harris Tweed must be made from 100% pure new wool dyed, spun, hand woven at the home of the weaver and finished in the Outer Hebrides of Scotland"
Harris Tweed Brown Herringbone Dog Lead.